Today's leader needs to be equipped with the tools and skills to find an effective way to collaborate with others. Global organizations today are highly complex, involving multiple parties, offshore operations, and matrix management structures. Leaders can only successfully deliver their strategic goals if they have the ability to build collaboration across the silos these create. 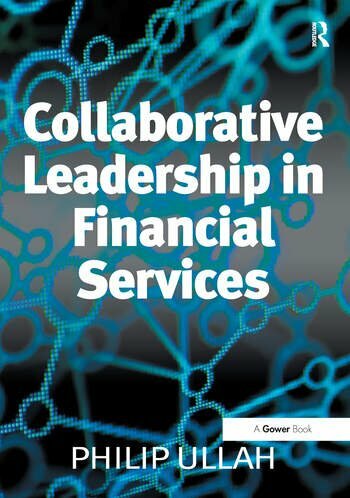 Collaborative Leadership in Financial Services is a practical guide which focuses on technologists within investment banking and capital markets. It is intended for everyone within the hierarchy of an organization whose collaboration is essential for the smooth running of a technology operation with many stakeholders. It shows how to improve leadership by explaining how to make this collaboration successful and effective. Contents: Preface; Introduction; Collaborative leadership: a model for the 21st century; Building relationships; Influencing; Communicating; Coaching; Finding common ground; Getting the best out of teams; Getting the best out of individuals; Delivering value from projects and programmes; How to change; Conclusion; References; Index. Philip Ullah has an extensive academic background in organizational behaviour. He obtained his PhD in Psychology from the University of Birmingham, and worked as a research fellow at the universities of Sheffield and Nottingham before taking up the post of Senior Lecturer in Organisational Psychology at the University of Western Australia, where he was responsible for running the Masters programme in that subject. A lengthy career in management consultancy means he has worked with some of the world's leading companies, including JP Morgan Chase, The Royal Bank of Scotland, Deutsche Bank, BNP Paribas, Man Group, and HSBC. He is a renowned expert on building collaboration across complex organizations, and currently works within the leadership development practice at Catalyst Development in London. Catalyst is a specialist technology and operations consultancy working exclusively in financial services. Philip has published widely on a range of issues in psychology and work.